The Canton Symphony came to us with two requests. 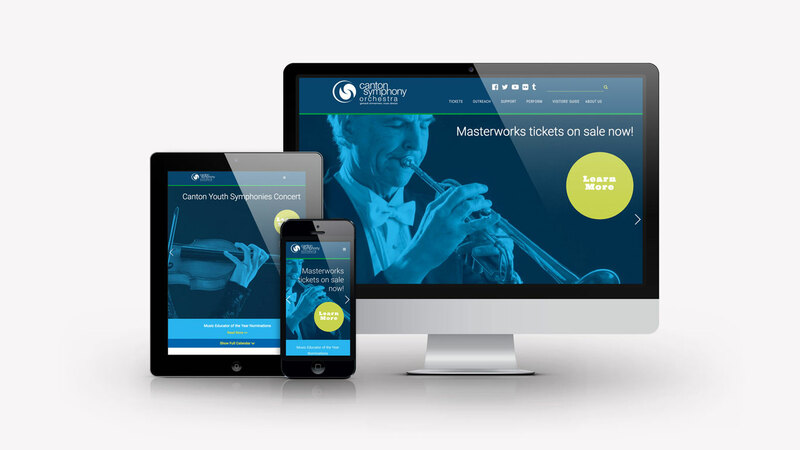 First, they wanted to update their website with a bolder visual look and appearance – more photography and graphics. Second, they wanted to make it easier for patrons to purchase tickets by having the events easily accessible, not buried beneath several layers. 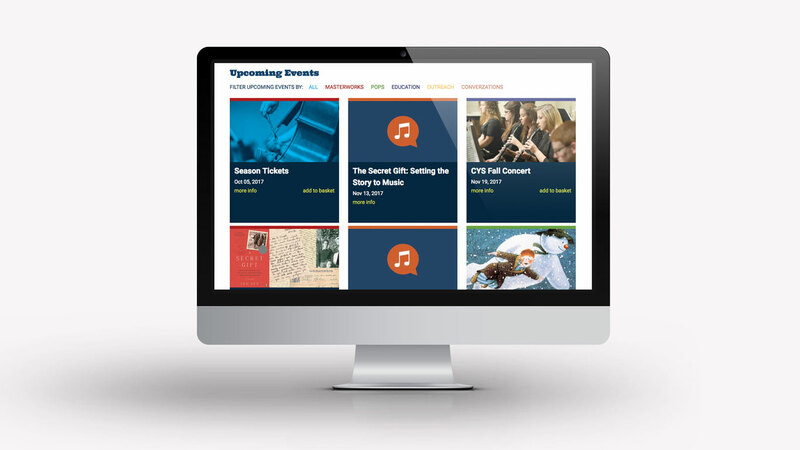 Our new design took some cues from old Blue Note Jazz and Decca record album covers, and also brought all events front and center with a homepage calendar and event blocks.